Do you love Vietnamese food? If yes, this dish today might totally suit you. 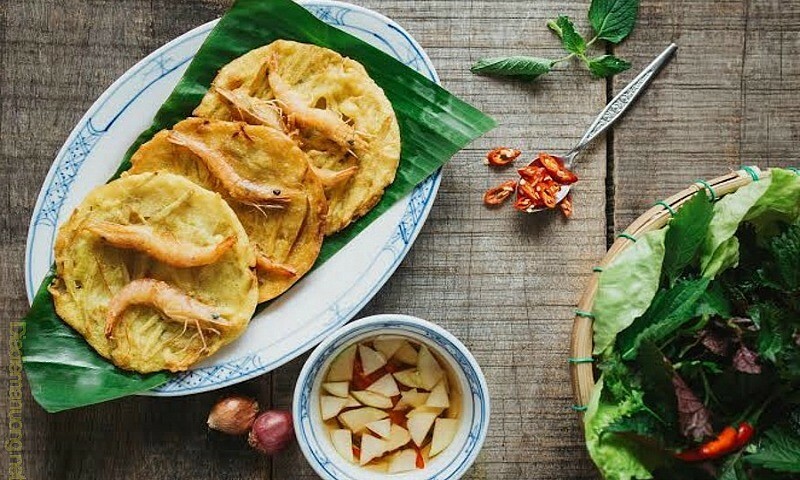 Originated in West Lake, this savory fried sweet potato & shrimp batter recipe (bánh tôm Hồ Tây) is one of the best street foods ever in Hanoi. Like many other fried dishes, this Vietnamese deep-fried sweet potato & shrimp batter recipe usually served with vegetables, herb leaves, and flavored dipping sauce. It does not require much time for preparing so it is definitely suitable for a try to cook and enjoy with family at weekends. Let us start cooking now. 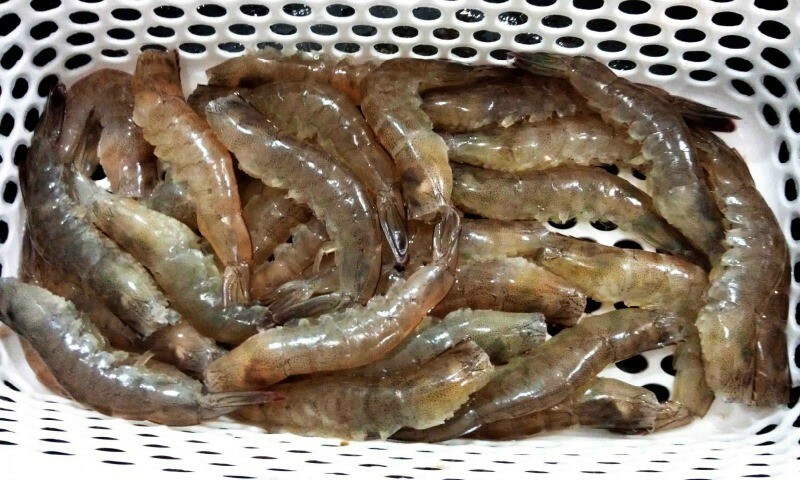 Step 1: Wash the fresh shrimps clean, take out their shells, and cut off their whiskers. Marinate the shrimps in spices. Step 3: Mix the wheat flour, tapioca flour, water, sugar, and salt in a big bowl. Stir the mixture to get a fine paste. Step 4: Add julienned sweet potatoes and shrimps into the mixture. Keep stirring until all the ingredients are blended together. Now, you have finished the preparation stage for the deep-fried sweet potato & shrimp batter recipe. 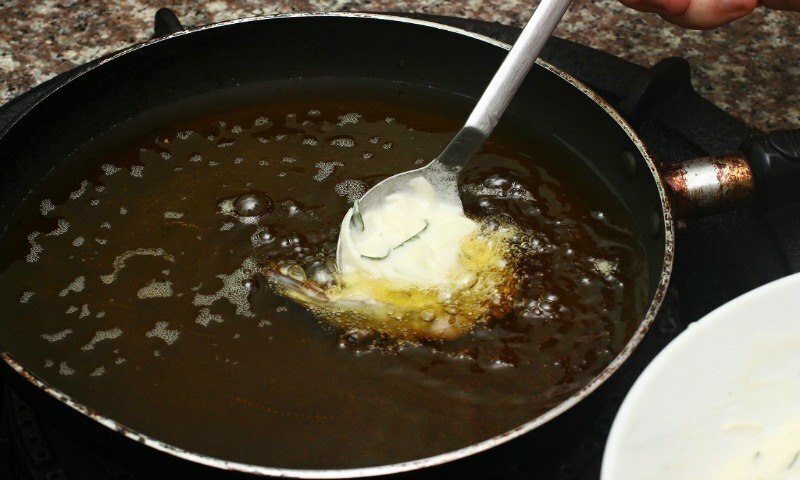 Step 5: Pour cooking oil into a large pan. Wait until the oil gets hot and boils. Take a full scoop of the mixture and gently put it into the pan. Be careful so that you do not get a burn. Step 6: Turn down the fire of the stove so that the cakes can be gradually fried. When the cakes turn brown-yellow color and smell good, then they are well-cooked. 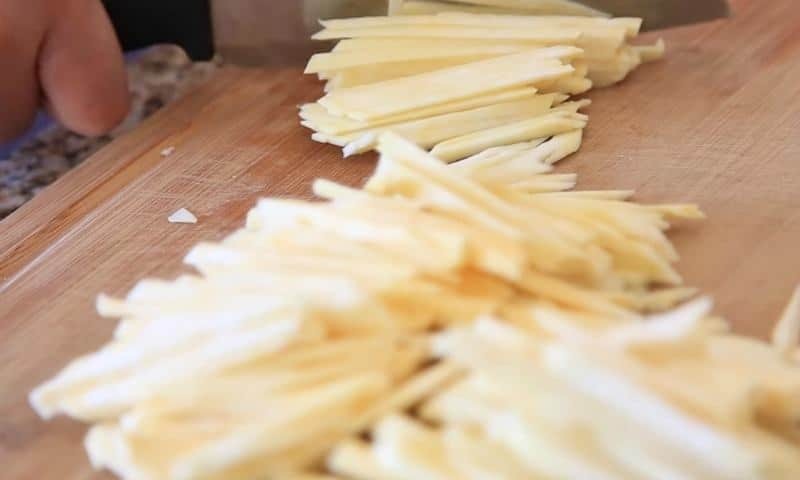 Take them out of the pan and put into dishes covered with soft pieces of paper to absorb their excess oil. Vietnamese deep fried sweet potato & shrimp batter recipe is completely done. 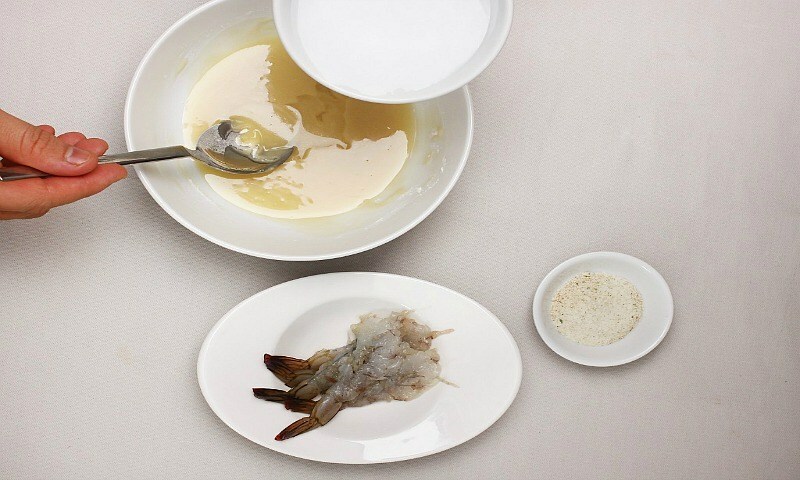 Step 7: Shrimp cakes taste better if you prepare a delicious sauce to serve with. In other words, the sauce plays a decisive role for this dish. To make a good sauce, soak the slices of carrots and papayas into vinegar for some minutes. Chop peppers and garlic. Mix all of them in a big bowl with an adequate amount of fish sauce. 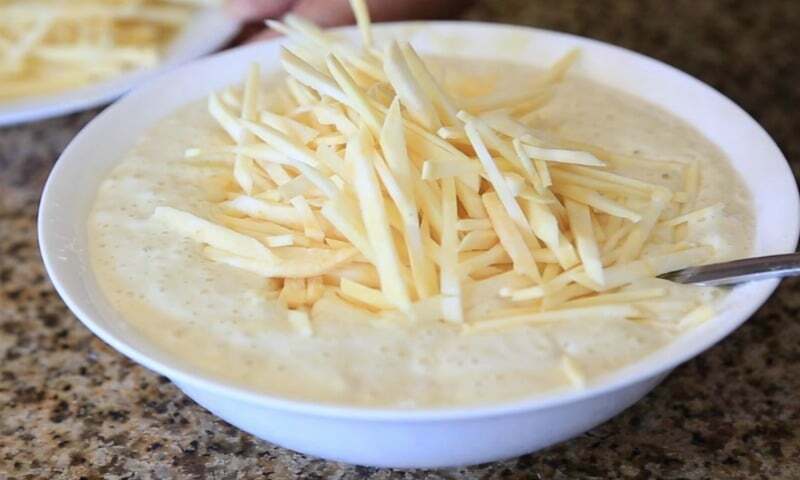 Gradually add some water into the bowl so that the taste will not be so salty. When the sauce is slightly sour and spicy, add in slices of carrots and garlic. Hot shrimp & sweet potato cakes are best served with herbs and dipping sauce. They will make the cakes be tastier as you will not get bored of oily cakes. 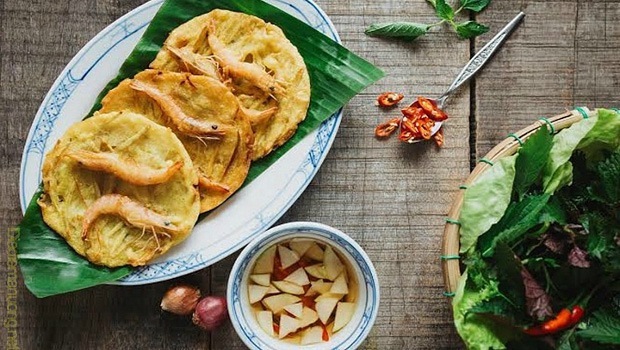 Hope that this detailed guide for homemade Vietnamese fried sweet potato & shrimp batter recipe will help you make this food easily.